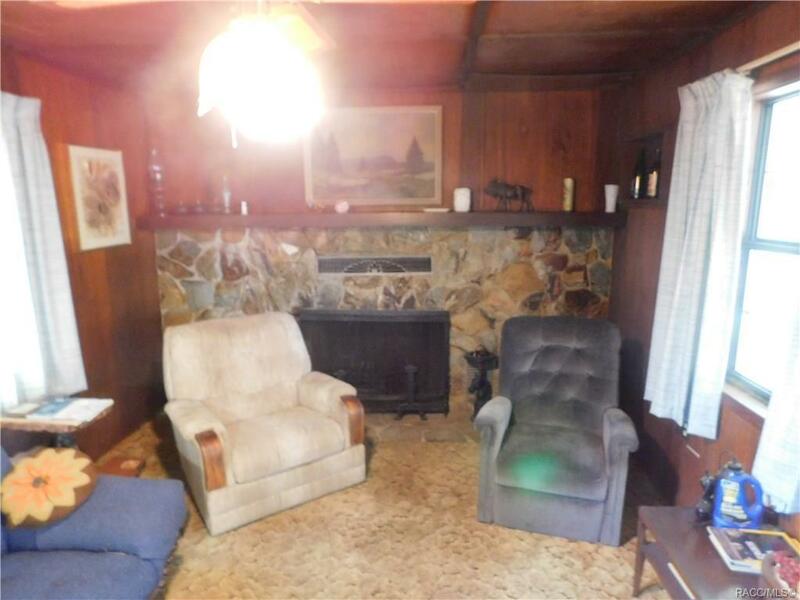 Bring your imagination and tool box and restore the original shine back to this home. Built in 1945 and awaiting its new owner to return it to its former glory. Very livable the way it is. Beautiful lot with large mature oaks and fruit trees. Partially fenced, well house, 2 sheds. Large enclosed porch on the back, along with a carport. All furniture is to remain. Brand new roof and newer drainfield. Pictures of the outside are coming, was raining the day I was there. Directions: From Intersection Of Us Hwy 19 And Citrus Ave In Crystal River, Go North On Citrus Ave To Home On Right. Sign On Road. © 2019 Citrus County Board of Realtors. All rights reserved. Information deemed to be reliable but not guaranteed. The data relating to real estate for sale on this website comes from Citrus County Board of Realtors and the Broker Reciprocity Program.sm. Real estate listings held by brokerage firms other than Fontana Realty are marked with the BR logo and detailed information about them includes the name of the listing brokers. All measurements and all calculations of area (i.e., Sq Ft and Acreage) are approximate. Listing broker has attempted to offer accurate data, but buyers are advised to confirm all items. Information last updated on 2019-04-20.